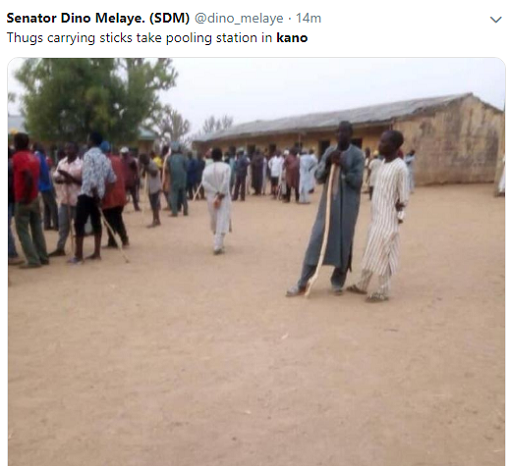 Chairman of PDP in the state, Rabiu Bichi, who addressed journalists in Kano said the party rejects the election because it was characterised by violence and intimidation of voters. “ What is happening today is not election. 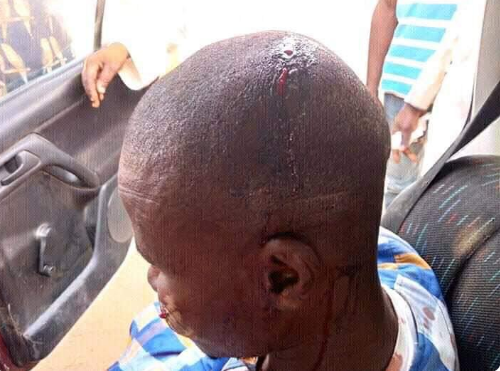 Thugs have taken over most polling units and have been attacking our members and voters. “ We also have reports of attack on our members in Doguwa, Gwale and Dala, we are collecting the whole list of those attacked,” he said. 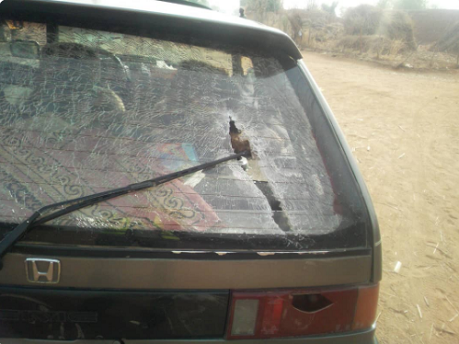 Also NTA on twitter have tweeted how a vehicle belonging to one of their reporter’s on election coverage duty was attacked by hoodlums in Minjibir Local Government, Kano State. 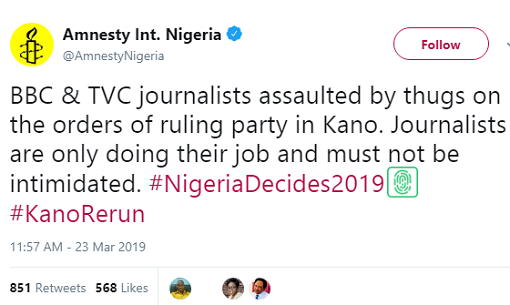 Amnesty international Nigeria also tweeted saying; ‘’BBC & TVC journalists assaulted by thugs on the orders of ruling party in Kano. Journalists are only doing their job and must not be intimidated. 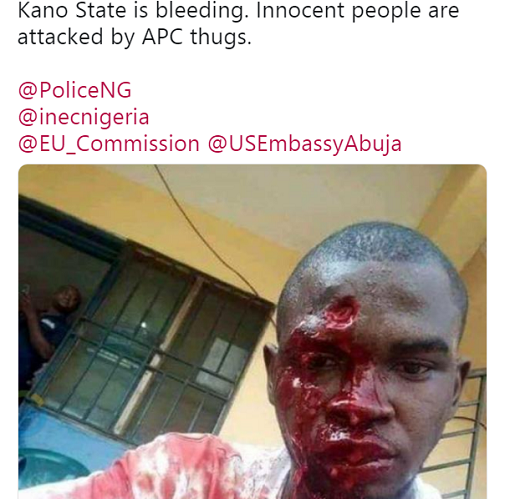 #NigeriaDecides2019 #KanoRerun’’, the tweet read.